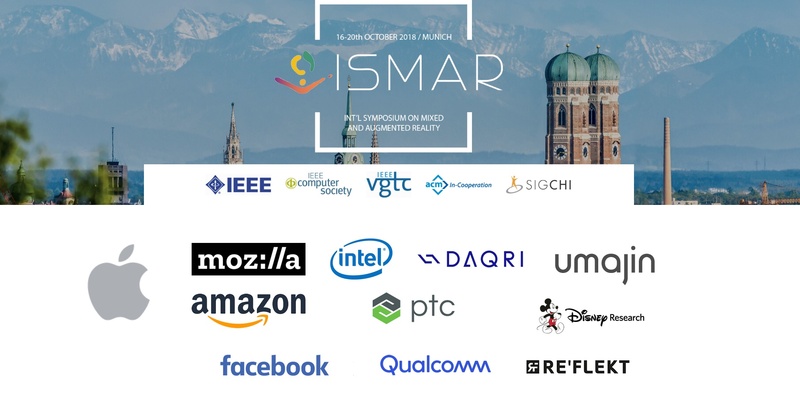 Umajin demonstrated a multi person co-spaced VR environment at the combined ISMAR/AWE show in Munich. There were three different demos, in this specific demo users had to triage inbound events occurring in Hong Kong. The two users were huge in scale compared to the city and could see incoming events as orange markers. When they picked a marker the details of the event would be transferred to a tablet. From the table the user can dispatch an emergency team from police, fire or ambulance based on the type of event. Users had to collaborate as they had different authorizations over the emergency teams.